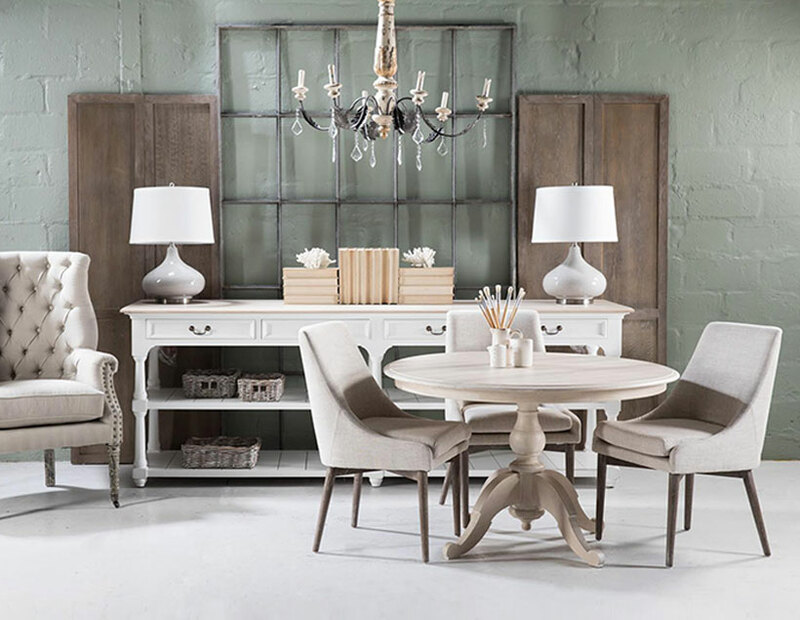 Select your furniture pieces well and your home will be proof that neutral tones are anything but boring. Follow our guide to using neutrals well in interiors. Home decor that uses neutral elements well achieves understated luxury. Gone are the days when neutral interiors meant beige and cream from wall to floor. Modern neutrals vary widely from warm taupe to gentle eggshell white and earthy browns, resulting in serene, tasteful decor. It’s a strong foundation, making signature pieces “pop” when framed by the relative neutrality. As a base, it gives you the chance to change a room’s look with the simple addition of a few key items such as scatters, a new coffee table or an interesting side table without going through a major overhaul. Here's how you can style your home to create a stylish neutral setting. If your floors are already in and are a natural material such as wood or stone, let their tone inform the wall colour. The rule of thumb is to go for a lighter colour than your furniture pieces so as to frame them, while keeping the room feeling light and bright. However, if you’re after a bolder look, opt for a deeper tone on your walls as a statement. Create layers of the same shade in different tints, tones and shades, but always sticking to the underlying base neutral. For example, if you’re using a taupe on your walls, opt for a darker taupe upholstery on your couch. Neutrals offer the opportunity to play around with texture, so give consideration to the various pieces in your room and try vary the texture. For example, your armchair’s upholstery could be a velvet, and your table lamp could be a cut glass stand with an egg-white linen shade. Add a woven rattan basket beside the chair to vary the texture of this motif. By opting for a neutral colour palette, you can experiment with combining different styles to create a unique and personalised space.